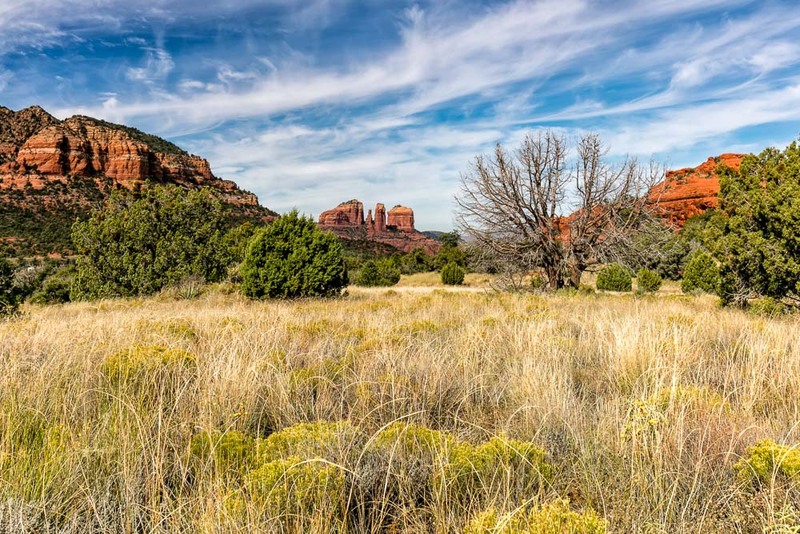 Jayne and I traveled to Arizona for our second trip, a few weeks after visiting New Mexico. As with most of our travels, we do “spokes of the wheel” adventures, starting from a central location. 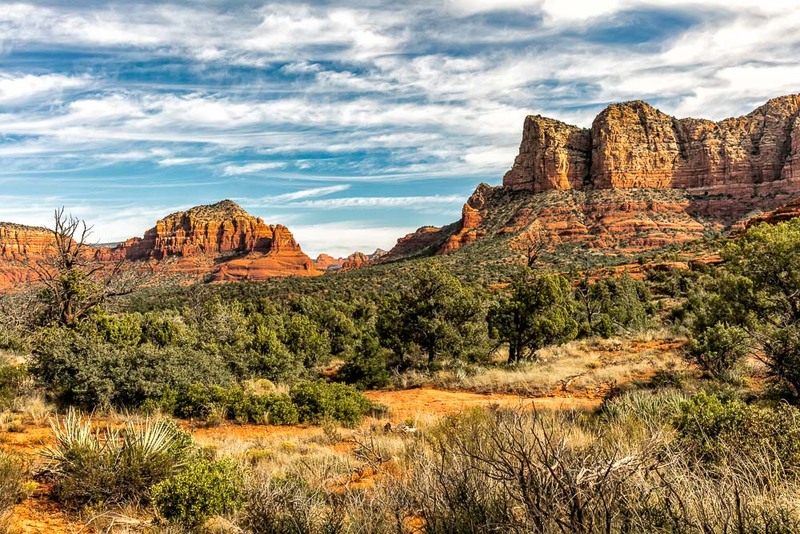 For this trip, our wheel center was Sedona, and it featured daily hikes. 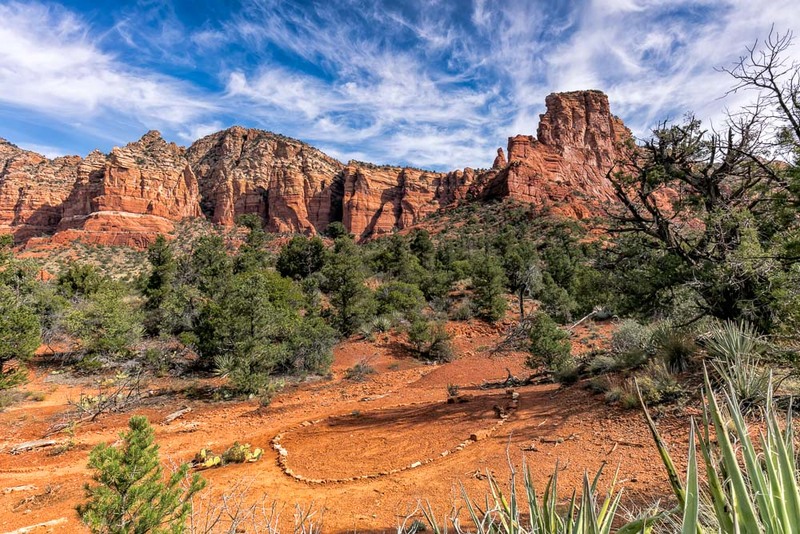 The first hike was the Bell Rock Courthouse Butte Loop . 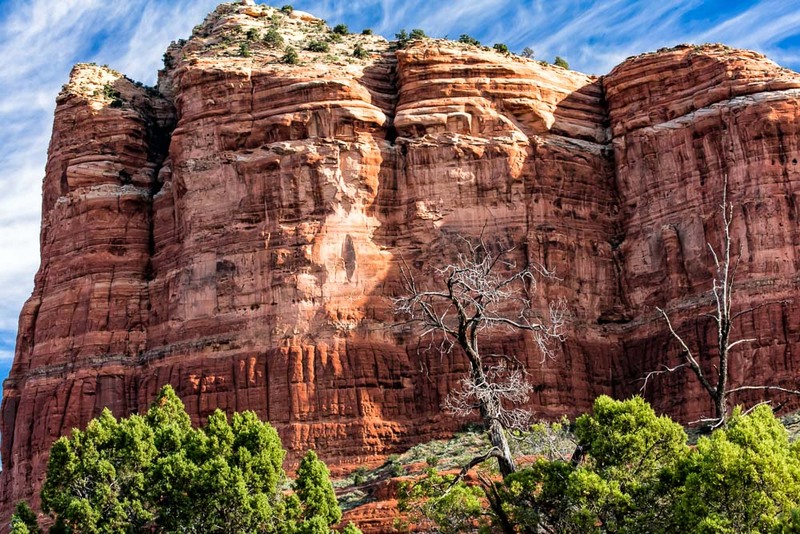 Bell Rock itself is considered to be one of four main Sedona locations for powerful vortex energy . This energy is electromagnetic in nature and is said to affect some sensitive people with a feeling of well-being. You can see the backside of Cathedral Rock in the distance. 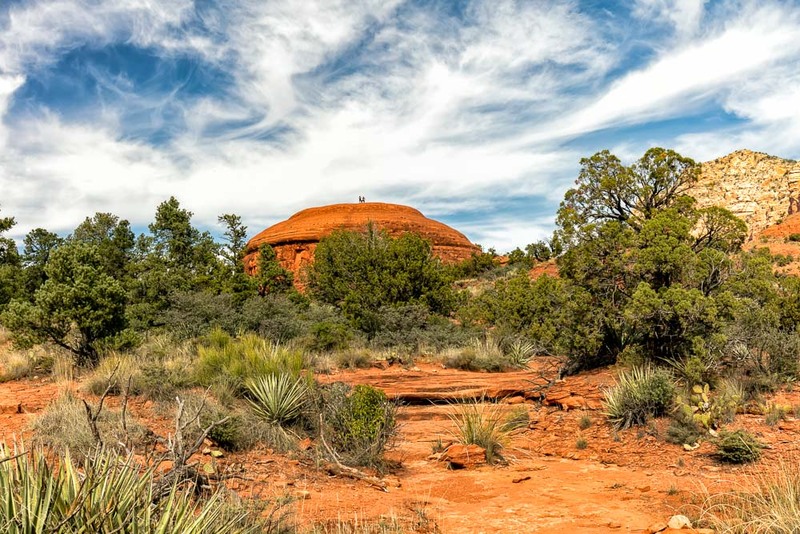 Spaceship Rock is said to be the location of one of Sedona’s lesser known vortex sites. Another shot from along the trail loop. This one shows what appears to be a prayer circle. There were a few puddles and streams along the way. 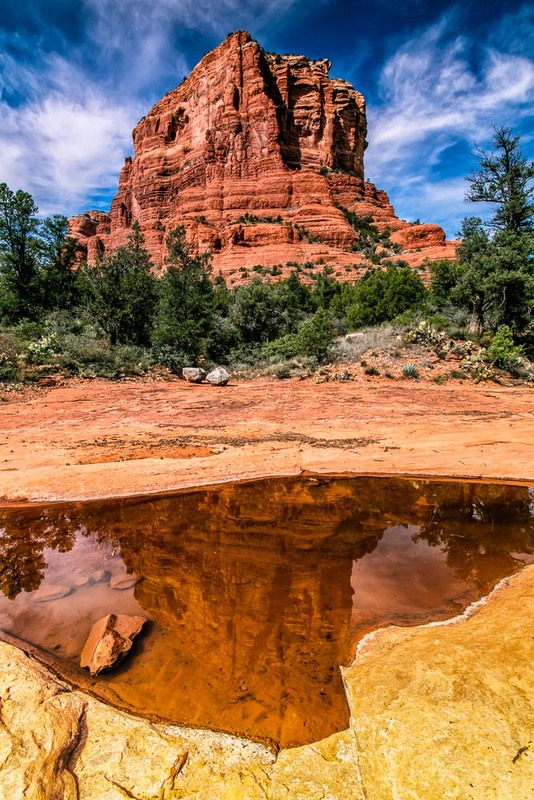 This one was well-positioned to catch the Courthouse butte in reflection. 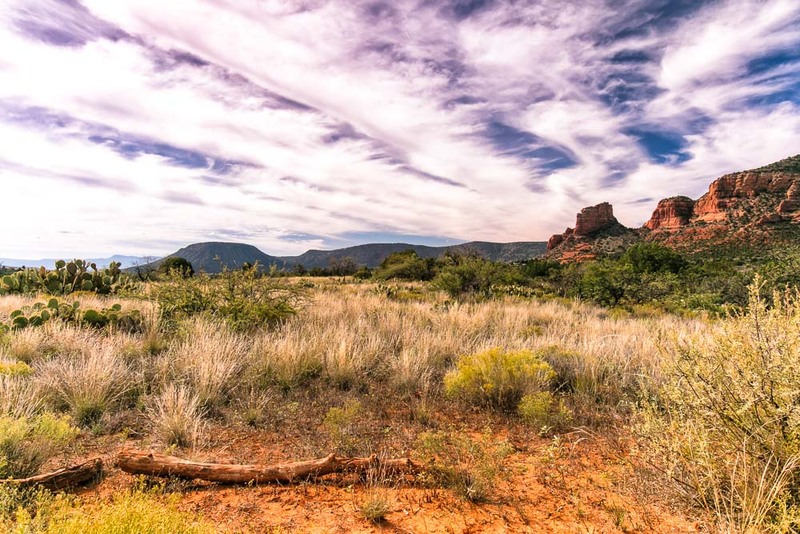 Finally, the end of the hike loop with a view of the typical landscape surrounding Sedona.